"If the first grape you eat is bitter, then you will not bother eating grapes again. 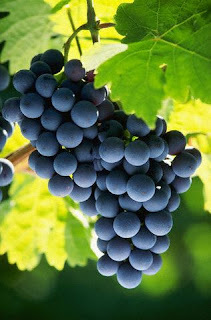 If the first grape you eat is a sweet one, then you will be willing to eat a lot of bitter grapes in search of another sweet one." You shouldn’t judge a book by its cover. But we all do. Every day, we make snap judgments and form opinions of people within minutes of meeting them for the first time. And right or wrong, the first impression is usually the lasting impression. Now here’s where it gets interesting... If your first impression of someone is favorable, then you create a positive filter for that person. And from that point forward, your future encounters with that person will be viewed through that positive filter (like looking through a clean “lens”). But what happens when that person behaves in a way that CONTRADICTS your positive first impression of them? You defend and rationalize their behavior, right? Have you ever found yourself doing that? What’s interesting is that it’s NOT the person you are defending, but rather your OWN judgment of that person that you are defending. For example, you meet someone and label him as a nice guy. Then, the following week, you witness Mr. Nice Guy being rude and hateful towards a waitress. Your tendency is to make the excuse that this “nice” guy must be having a really bad day. But why would you rationalize his behavior? Because his behavior is incongruent with your judgment. He is violating the positive filter that you created for him. In other words, he is “dirtying your lens”. And this makes you feel uneasy. So you want to clean the lens! How do you clean the lens? By making up an excuse. An excuse that rationalizes his behavior and makes you feel better. Now you no longer feel like an incompetent judge of character. Problem solved, right? Not necessarily. What happens if their bad behavior becomes persistent? You might have to admit that you were wrong about this person. After all, you can only make excuses for someone for so long. If you’re in a relationship with this person (whether it’s personal or business), then your unwillingness to abandon your first impression and form a NEW impression of this person could end up hurting you. So don’t fall into the trap of rationalizing someone’s behavior if their bad behavior becomes persistent. Be willing to admit that your first impression might have been wrong and don’t let your ego get in the way. Keep an open mind and look for consistent patterns in their behavior over an extended period of time. 1. Don’t let the power of first impressions cloud your judgment. Look for consistent patterns in a person’s behavior. And if their consistent behavior contradicts your initial impression, then change your impression. 2. Because first impressions are so powerful and lasting, make sure you are doing everything you can to create a positive first impression of yourself in the eyes of others. If you make a mistake or drop the ball, the person will be much more forgiving if their first impression of you was positive. “A warehouse of psychological research suggests that once people form a belief, they selectively seek, collect, and interpret new data in ways to verify their opinion. This distorting cognitive confirmation bias makes such personal convictions resistant to change, even in the face of contradicting evidence.” – Scientific American Mind, 2005, Volume 16, Number 2.